As well as flexible and reliable removalist services, Hills is able to offer clients a range of associated services to help streamline your move. 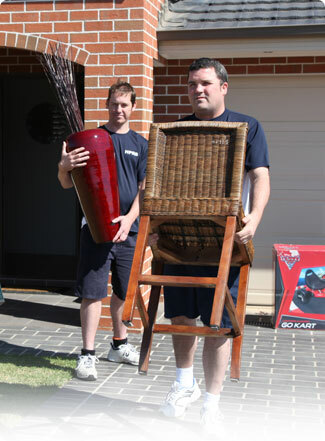 Hills Professional Removals and Storage will listen to your exact requirements and provide you with expert advice. The services we provide to you will then be tailored directly to your needs. Having years of experience in removals and storage for customers in both large homes and unit blocks, we even extend our hours of operation to fit within strata or council requirements. We quickly and efficiently pack up your belongings and deliver them safely to your new home, or to our storage facility. Know exactly what you need? Or know you need to relocate, but are not quite sure of the best options for you? Simply give us a call on 02 9624 5638. One of the friendly Hills Professional Removals and Storage team will talk through your requirements with you, and make recommendations based on our experience. We can also send a member of the team to your home to help you plan your move. Alternatively, fill in an online quote form and we’ll be in touch to discuss your requirements. You are not obliged to go ahead with our services once you have a quote; but from our experience, we think you’ll want to! Portarobes. Not sure about these? They are one of our most popular items – as they mean you don’t need to pack up all your clothes, but can simply transfer them on their hangers into the robes – and back into your wardrobe at your new place. Just mention what you need from the list when making arrangements with the team. And you’ll be relieved to hear that once you reach the other end, if you preference is to unpack and place your possessions, we can simply deliver the items and carefully place them in your new home. But should you want us to unpack and place them for you, this is a service we are happy to offer. With more and more of our customers moving interstate due to the increasing flexibility of work arrangements, for a tree or sea change, or to be closer to their families, we are pleased to offer an interstate removals service. This covers both business and personal removals and extends up into Queensland as far as Brisbane, and down the east coast to Victoria, as far as Melbourne. Many of our customers are expanding or diversifying their business, and need to relocate. We have many years’ experience in the detailed and complex requirements of moving a business, and will work with you to ensure the move of your business is as stress free as possible. If you are renting a property, your deposit may be dependent on it being professionally cleaned at the end of your lease. If you are selling, you will wish to make the best possible first impression to potential buyers, or the new owner. We therefore offer full house cleaning and lawn maintenance services. Simply ask a team member to explain the options to you when you take them through your requirements. Whether you’re a seasoned mover or a first time buyer, we are happy to help you with any removals or storage requirements. To discuss your removal or storage requirements with one of our friendly team, please call us on 02 9624 5638, 0410 640 672 or send us an email at info@hillsremovalists.com.au.